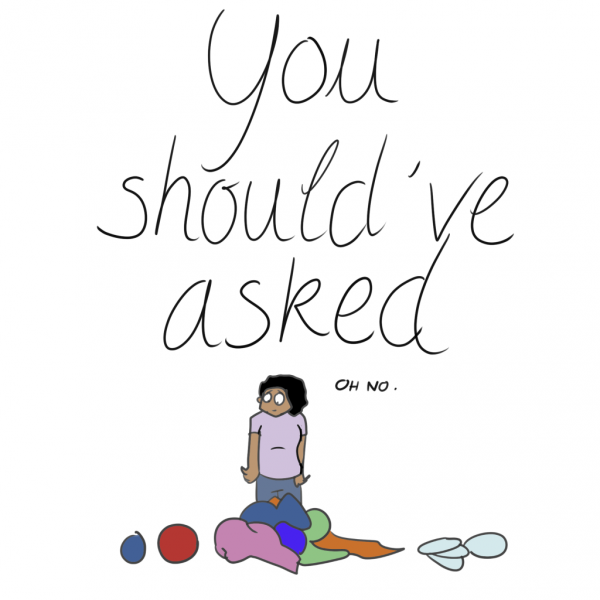 If the burden of domestic responsibilities falls squarely on your shoulders, get inspired by how this writer learned to stop taking on all the emotional labor in her marriage. Emotional labor. It’s real, but often invisible, according to writer Maddie Eisenhart. Whether it’s grocery shopping, managing kids or holiday shopping, emotional labor is all the work that often goes unappreciated in a relationship, explains Eisenhart, an executive and blogger at A Practical Wedding. “Essentially, to me, emotional labor is all of the invisible work that is done in managing a household in a relationship,” Eisenhart tells NBC News Better. Eisenhart, 32, and her husband Michael, 35, have been together for 15 years. 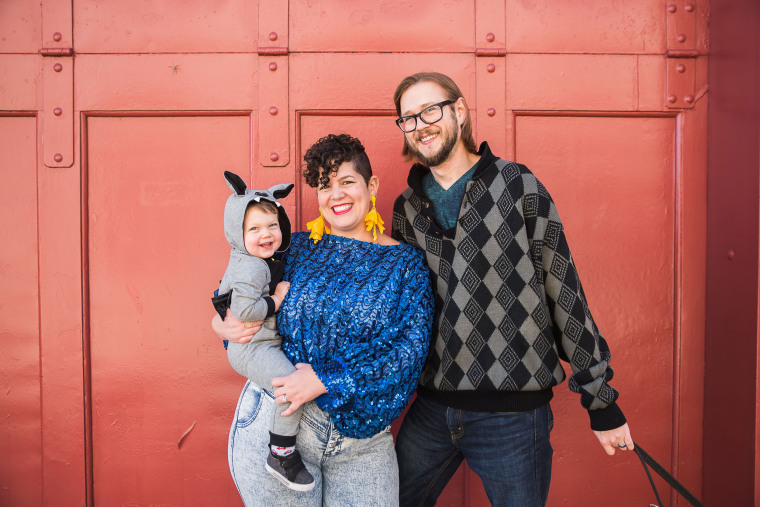 The San Francisco couple have an 18 month old son, work full time jobs, and share most of their domestic responsibilities. But for a long time, recalls Eisenhart, she did most of the emotional labor in their relationship. “At the very least, I mostly just felt really stressed out and burned out and resentful, because I was doing all of this work, and it was going largely unseen and unappreciated, but it’s been a process,” she says. While her husband is a great guy, Eisenhart says, it was a struggle to get him to take on his fair share of emotional labor. Here’s how she did it. Eisenhart decided to start making all of her invisible emotional labor visible. “If they don’t see the things that you’re doing, they have no way of knowing what’s being done, they have no way of knowing what needs to be done,” Eisenhart says. So she purchased a white board and hung it on her refrigerator. Every day, she wrote down all the things that needed to be done. She says it was important for her husband to be able to see the list of to-do’s she kept in her head. “Previously, I just think he hadn’t been aware of how much labor I was doing,” she says. For Eisenhart, a big struggle with getting her partner to take on more responsibility was learning to stand her ground. “Asking more of your relationship often inherently means that you’re going to get some pushback,” Eisenhart says. There were days, Eisenhart recalls, when they argued, but she learned not to give in. “Part of this journey has just been accepting that it’s ok to add a bit of tension to my relationship if it’s ultimately going to make my marriage better,” she says. She says she also needed to get comfortable with delegating effectively. For example, she says, when you need your partner to do something, don’t ask them to do it. Instead, phrase the question as a statement beginning with “I need you to…” She says it’s also important to avoid criticism. “I know he’s going to want to respond to wanting to make my life better more than a criticism of what he’s not doing or a statement of what needs to be done,” Eisenhart explains. Often, the partner who shoulders most of the emotional labor inadvertently becomes the middle man, according to Eisenhart. For example, Eisenhart hired a dog walker to take the family dog out in the afternoons. Often, on days when her husband would be home early, he would ask her to cancel with the dog walker. Eisenhart says she sent her husband the dog walker’s number and told him to cancel on his own. “My husband is an engineer. He works in high-level corporate environments all day long. He can handle texting a dog walker,” she says. You want the dishes organized a certain way, the toilet cleaned a certain way, the bed made a certain way, but your partner has their own way of doing these tasks. Demanding they meet your standards only makes more work for you, says Eisenhart, and isn’t fair to your partner. If all else fails and your partner still doesn’t shoulder their fair share of emotional labor, you may have to simply call out the unfairness, says Eisenhart. “Sometimes, calling it out really plainly is a way to snap him into attention and realize that we’ve been falling into a sort of very gender stereotype trap,” she says. Eisenhart says she isn’t on a mission to make her marriage perfect. Rather, she sees it as a road to progress with some bumps along the way. What is the 'mental load'? And why do moms tend to bear the bulk of it? Since making her emotional labor more visible, Eisenhart says her husband has taken on a lot more responsibilities on his own.